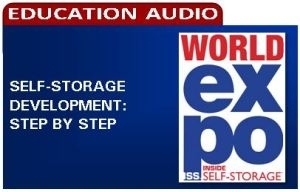 This session provides a concise list of tasks to properly evaluate, plan and build a self-storage facility, including investment objectives, development projections, financing, design and more. During this informative session, our presenter provides a concise list of tasks to properly evaluate, plan and build a self-storage facility. He addresses investment objectives, current cap rates, development projections, financing, and a how-to for design and construction, drawing on many real-life case studies of successful projects. He also walks you through the development of a 100,000-square-foot, multi-story facility that now operates at more than 90 percent occupancy. Attendees will learn what they need to take a realistic development approach for achieving the best possible return on investment. NOTE: This audiocast will be delivered to your “My On-Demand Library” in a downloadable zip file folder. Your folder will contain an MP3 audio file of your purchased session, along with the matching presentation slides provided by the speaker.